the $6 million waterfront events pavilion. Texas A&M got approval for a $60 million construction bond from the Texas Legislature in 2013, which had fueled much of the campus' expansion in recent years. 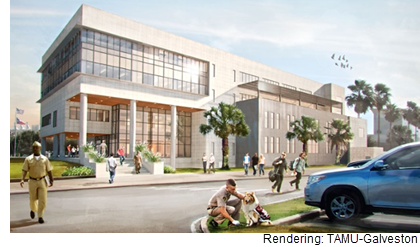 Phase 2 of the Academic Complex, which will include a large lecture hall, new campus bookstore and administrative offices, is under construction. Officials want to eventually enroll 3,000 students on the campus.